The League of Women Voters of Needham welcomes your donations via PayPal or check. Click the Donate button below and you will be transferred to a secure website where you can enter your payment details. Please note that the LWV-Needham is a 501(c)(4) organization and your contribution is not tax-deductible. 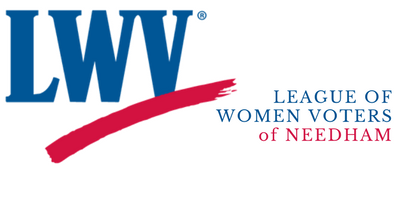 Please note that the LWV-Needham is a 501(c)(3) organization and your contribution is tax-deductible.